Reyooz - About - Why Reyooz? Reuse isn't just good for the environment, it's good business sense. Reyooz saves your organisation an average of 20-30% on equivalent waste disposal costs and saves 100% on purchasing and procurement. We call it zero-waste management. Our clients have saved over 35 tonnes of goods from landfill and saved over £22,540 on waste disposal costs. Small businesses and non-profits have received over £52,900 worth of goods that would otherwise have been wasted. 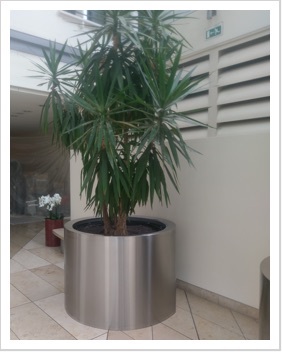 Yes that is a 4m tall yukka plant, there were two of them. Reyooz work in partnerhisp with GOSH on a daily and weekly basis. In such a large hospital trust, we find ourselves facilitating the sharing of goods inside the hospital, between departments, on a daily basis. 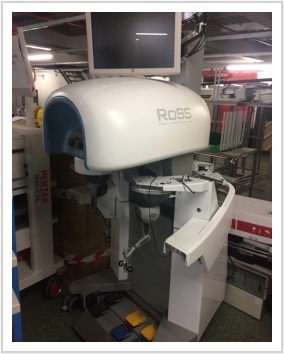 Saving the trust huge amounts on waste disposal and procurement, we're even finding ways to donate surplus medical equipment to surgeries around the country.